I have said on the blog before that I don't do New Year's Resolutions as I'm terrible at keeping them (Though the blog has been known to write it's own list). However, I do have a sort of New Year's List. I have a list of techniques I want to learn and hopefully master in 2013. 1. Learn and use Judy's Magic Cast On. This is most commonly used for starting toe-up socks. 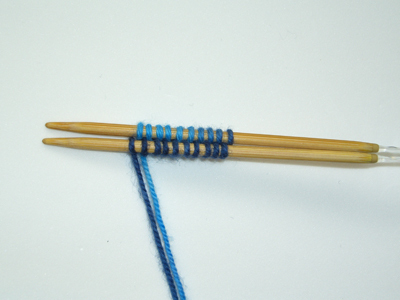 However it can be used for beginning any small circular knitted piece such as top down berets. I used it here at the beginning of the motifs in my Imbolc Pullover to avoid having a hole in the centre of each motif. I did have to do copious watching and re-watching of Judy's informative video tutorial. YouTube is truthfully a wonderful resource for knitters. I'm going to use it next to knit the Longitudinal Socks from the First Fall 2012 Edition of Knitty. These are knitted from side to side in garter stitch beginning with Judy's Magic Cast On and are finished at the other side by grafting in Kitchener stitch. 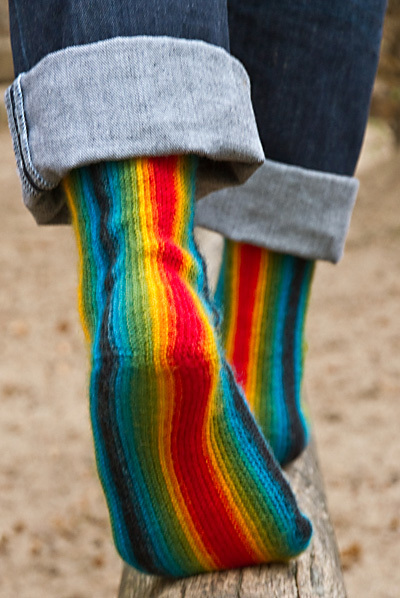 Then there's probably a pair of toe up socks somewhere near on my knitting horizon too. I keep looking at getting the Craftsy Class Adventures in Double Knitting with Alisdair Post-Quinn. This is an online video based class to which you have unlimited access complete with question and answer forum monitored by the teacher. They are sort of like doing a face to face session with a fantastic teacher any time you like, at your own pace, where you can watch the tricky bits over and over as long as you like. Fantastic idea. But then, I look at the regular price of $39.95 US and think maybe when it's on sale.... A girl's got to be careful that the spending on the habit doesn't get totally out of hand. 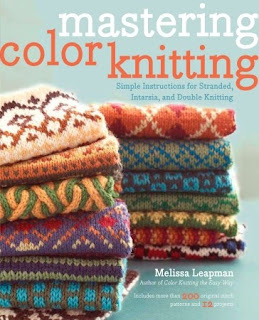 Alistair's Book is awesome too: Extreme Double Knitting. It covers the basic techniques behind double knitting in really detailed photo tutorials. Exchequered by Alice Bell from Knitty Spring 2006. 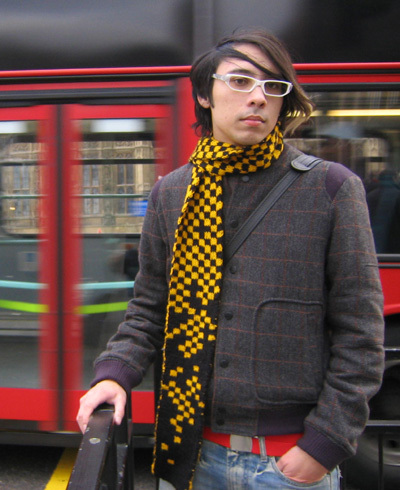 It's time to make a boy scarf for a change. The His and Hers Reflection Hat from Mastering Colour Knitting. 3. Brioche Knitting: Brioche Knitting is a family of knitting patterns which involve tucked stitches where a yarn over is knitted together with a slipped stitch from the previous row. It produces a sort of double thickness knitting with raised stitches that can be then be manipulated into intricate crossing stitch cables or highlighted in a different colour. 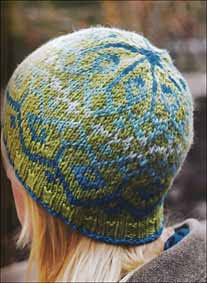 Again, there's a Crafty Class on my covet list; Explorations in Brioche Knitting with Nancy Marchant. I want to make that leaf scarf! And she has an awesome book: Knitting Brioche. I played with the online library catalogue as I was writing this and placed a hold on it! Nancy also has a cool website at The Brioche Stitch. How about another hat? Nancy has a number of free beret patterns on her website. I like the Windmill Beret. Do you have a knitting wish list? What new things do you want to do in 2013? Don't worry, it doesn't take away any income from me to use this link, and there's no limit on its usage (that I'm aware of) so you're welcome to keep it up in the comments. Thanks for your interest! I'm glad you found my wish list. Thanks for the link. I'm going to have to follow this up.